You browse to the folder containing the chosen engine and click on the engine executable and it will be added as an engine to the Engine list of the Preferences->Engine tab. Once added you can later select the engine in the Analysis Explorer pane or Play game engine selector. Some engines may require prior registration before use or registration on first use. Please take note of the instructions with each chess engine. Please note the HIARCS 14 World Chess Software Champion engine is automatically added by HIARCS Chess Explorer when it starts for the first time. 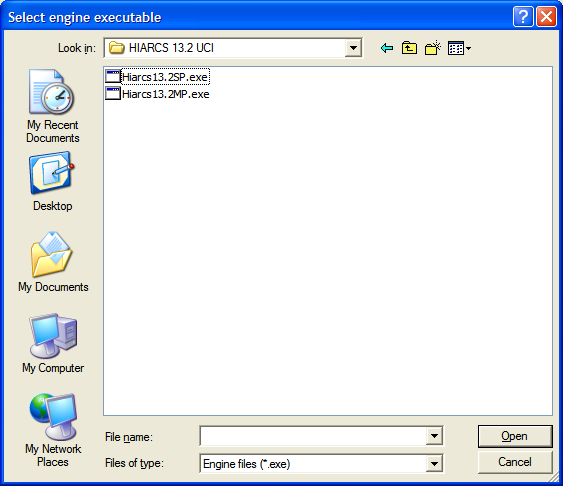 In addition your HIARCS Chess Explorer license will automatically activate the HIARCS chess engines applicable to your license.